Brookfield Residential Properties Inc (BRP): Hedge Funds Are Bullish and Insiders Are Bearish, What Should You Do? Is Brookfield Residential Properties Inc (NYSE:BRP) a healthy stock for your portfolio? Investors who are in the know are in a bullish mood. The number of bullish hedge fund positions inched up by 1 lately. According to most shareholders, hedge funds are assumed to be unimportant, old financial vehicles of yesteryear. While there are greater than 8000 funds trading at present, we at Insider Monkey choose to focus on the masters of this group, close to 450 funds. It is estimated that this group oversees the lion’s share of the hedge fund industry’s total asset base, and by monitoring their highest performing picks, we have found a few investment strategies that have historically outstripped the market. Our small-cap hedge fund strategy outperformed the S&P 500 index by 18 percentage points per year for a decade in our back tests, and since we’ve began to sharing our picks with our subscribers at the end of August 2012, we have beaten the S&P 500 index by 24 percentage points in 7 months (check out a sample of our picks). Just as integral, bullish insider trading activity is another way to break down the financial markets. Obviously, there are plenty of reasons for a bullish insider to downsize shares of his or her company, but just one, very obvious reason why they would buy. Several academic studies have demonstrated the market-beating potential of this tactic if piggybackers know where to look (learn more here). With all of this in mind, we’re going to take a glance at the latest action encompassing Brookfield Residential Properties Inc (NYSE:BRP). What have hedge funds been doing with Brookfield Residential Properties Inc (NYSE:BRP)? In preparation for this year, a total of 9 of the hedge funds we track were long in this stock, a change of 13% from the third quarter. With hedgies’ positions undergoing their usual ebb and flow, there exists a select group of key hedge fund managers who were upping their holdings significantly. When looking at the hedgies we track, Richard McGuire’s Marcato Capital Management had the largest position in Brookfield Residential Properties Inc (NYSE:BRP), worth close to $50.4 million, comprising 6.6% of its total 13F portfolio. The second largest stake is held by Horizon Asset Management, managed by Murray Stahl, which held a $42.6 million position; the fund has 1.3% of its 13F portfolio invested in the stock. Remaining hedge funds that are bullish include Joseph A. Jolson’s Harvest Capital Strategies, Carl Tiedemann and Michael Tiedemann’s TIG Advisors and Geoffrey Raynor’s Q Investments (Specter Holdings). As one would reasonably expect, key money managers have been driving this bullishness. Halcyon Asset Management, managed by John Bader, created the largest position in Brookfield Residential Properties Inc (NYSE:BRP). Halcyon Asset Management had 1.8 million invested in the company at the end of the quarter. 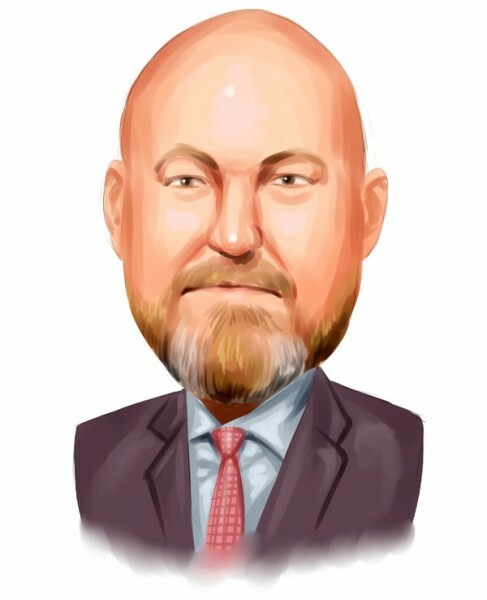 Cliff Asness’s AQR Capital Management also made a $1.1 million investment in the stock during the quarter. What have insiders been doing with Brookfield Residential Properties Inc (NYSE:BRP)? Insider buying is particularly usable when the primary stock in question has experienced transactions within the past 180 days. Over the latest half-year time frame, Brookfield Residential Properties Inc (NYSE:BRP) has experienced zero unique insiders purchasing, and zero insider sales (see the details of insider trades here). Let’s also review hedge fund and insider activity in other stocks similar to Brookfield Residential Properties Inc (NYSE:BRP). These stocks are Howard Hughes Corp (NYSE:HHC), American Realty Capital Properties Inc (NASDAQ:ARCP), Alexander & Baldwin Inc (NYSE:ALEX), and The St. Joe Company (NYSE:JOE). This group of stocks are in the real estate development industry and their market caps are closest to BRP’s market cap.